"Since 7 March, four massive attacks on the national power grid have been carried out", Rodriguez said, speaking in the Miraflores Palace, the official workplace of the Venezuelan President in Caracas. According to the minister, the attacks took place on 7, 9, 11 and 25 March, which ultimately led to the second nationwide power outage in a month. Rodriguez noted that after two days of restoration work, the specialists managed to restore electricity supply in most parts of the country. "We can say that by now the electricity has returned to homes of the overwhelming majority of Venezuelan population, but we should understand that our struggle continues", he stressed. Earlier in March, a massive blackout swept the majority of Venezuela's states, crippling the country's power grid. The national electricity supplier Corpoelec insisted that the power cut was the result of sabotage at the major Guri hydroelectric power plant in eastern Bolivar state. In the meantime, Venezuelan Prosecutor General Tarek William Saab announced on Thursday that the authorities launched an investigation into the accident. According to the official, one of the main versions is related to a possible shot "made from a long distance in order to burn the equipment" and disrupt operations at the Guri station. "The data indicate that there were acts of instigation to sabotage, to create social unrest, an explosion and then give way to [foreign] intervention", Saab noted. The nation is still recovering from the blackout. 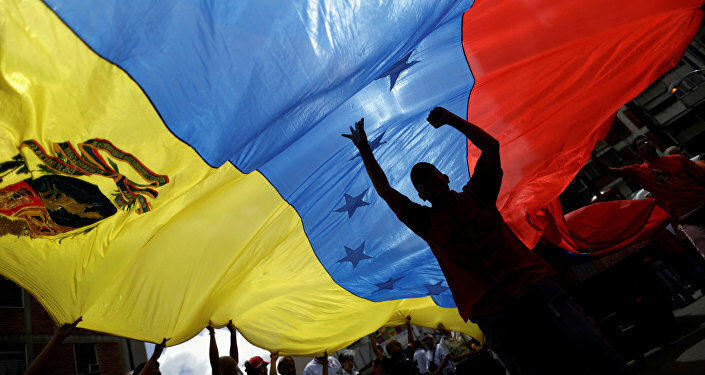 On Wednesday, a high-ranking source in the police of Caracas told Sputnik that at least 21 of Venezuela's 23 states remain without electricity due to an accident at the Guri hydroelectric power plant, which generates about 80 percent of the electricity in the country. The United States openly supports Venezuela’s opposition leader Juan Guaido, who proclaimed himself "interim president" back in January, following waves of anti- and pro-government rallies. Guaido’s bid is backed by the majority of Latin American countries as well as many EU states. In the meantime, Russia, China, Turkey, Cuba, Iran and a number of other states stand by constitutionally elected President Nicolas Maduro and warn Washington and its allies against "meddling" in the country’s affairs.